CBD Dog Health released a new line of all-natural cat products at KittyCon in Tampa on Oct. 27. The cat-specific products unveiled at KittyCon, which mirror the company’s popular line of dog products, include CALM, EASE, and HEAL CBD oil, as well as Freeze Dried Salmon and Freeze Dried Chicken Treats. Although CBD Dog Health products are safe for cats to use, Ardolino knew that cats needed their own specific products for their unique range of needs. She began creating the line of cat products with input from CBD Dog Health’s resident cat owner and mother of three cats, Krista Lyons. Lyons cats suffered from a range of issues, including alopecia, allergies, anxiety, and joint pain. After using CBD, Lyons’ cats became relaxed and healthy, and her senior cat began acting like a kitten again. CBD Dog Health’s line of cat products are formulated to treat a variety of ailments, including: seizures, stress, anxiety (including noise anxiety and separation anxiety), joint pain, allergies, tumors, and cancer. The products include 120 – 1100 mg of hemp CBD, and boast a range of essential oils to boost the positive effects of the full spectrum CBD hemp oil. CBD, or cannabidiol, is a naturally-occurring cannabinoid component found in the hemp plant and is extracted from the flowers, leaves, and stalks. The oils used in the company’s products feature a full range of cannabinoids that are high in CBD but very low in THC, so cats receive the extraordinary health benefits of CBD without the potential psychoactive effects of THC. Ardolino is one of the only professionals in the pet-care industry with an advanced education in cannabis science and medical use, which she combined with her 25-years of experience caring for animals to create CBD DOG Health. CBD Dog Health is currently formulating a line for horses, which is expected to be released by March of 2019. All of CBD Dog Health’s dog and cat products are safe for use in all mammals, including rabbits, hamsters, and guinea pigs. 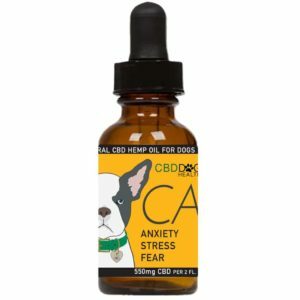 CBD DOG Health is a pet wellness company that offers a range of CBD oil-infused products for pets. CBD-rich hemp oil is all-natural and non-psychoactive, which makes it an appealing option for pet parents looking for relief for their pet’s inflammation, pain, anxiety, psychosis, seizures, spasms, and other conditions. 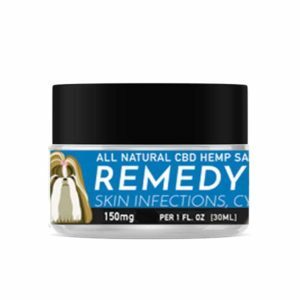 The company’s cannabinoid formulations are homeopathic blends of CBD and other all-natural ingredients, including arnica, ginger, frankincense, salmon oil, vanilla, and various other natural compounds. All these ingredients are specially formulated to work in concert for extended absorption and optimal effectiveness for dogs of any breed and size. For more information, visit www.cbddoghealth.com.